As far as he knows, award-winning writer Tom Bedell is the only member of both the Golf Writers Association of America and the North American Guild of Beer Writers. And he’ll drink to that, as he is wont to do regarding most things. Tom has written about golf and golf travel for American Airlines’ luxury magazine Celebrated Living since 1999, and has contributed to Travel & Leisure Golf, Golf Connoisseur, Virtuoso Life, Lexus Magazine, Acura Style, Troon Golf & Travel. American Way, The Met Golfer and many others. He was a contributing editor for America’s Top Golf Courses, Sixth Edition (Zagat, 2010), and writes a regular column for the weekly The Commons newspaper in southern Vermont, where he lives and plays out of the Brattleboro Country Club as mid-handicapper. But before he began writing about golf, Tom had established his chops as a beer expert. A certified beer judge, Tom won two first place Quill and Tankard awards for his writing from the North American Guild of Beer Writers, and was a contributing editor to The Encyclopedia of Beer (Owl Books, 1997; Henry Holt, 1995). He continues to preside over beer tastings, formal and informal, at the merest request, and also writes regular beer columns for The Commons. 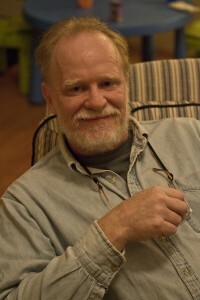 Tom began his writing life as a generalist, writing on anything and just about everything.Now closing in on the 1,000 mark in total articles, interviews, essays and reviews in over 100 different publications, from Reader’s Digest to Billiards Digest, Men’s Health to Cosmopolitan, he has also published poetry in a variety of literary magazines. He has belonged to the American Society of Journalist and Authors for more than 25 years, and served as the organization’s president in 1989-1990, co-writing and editing The ASJA Handbook: A Writers’ Guide to Ethical and Economic Issues (American Society of Journalists and Authors, 1992), as well as contributing to Tools of the Writer’s Trade (HarperCollins, 1990), by the ASJA. Tom has also contributed to or edited six other books: Magazine Career Directory (Gale Research, 1993, 1995); Men’s Health Advisor (Rodale Press, 1992; Stealing Home (HarperCollins, 1996) by Sharon Robinson; Handbook for the Heart (Little, Brown, 1996) by Richard Carlson and Benjamin Shield; An Artist Views New York (S‑P, 1988), by Gerald Sprayregen, and Play Art and Creativity (Bayer AG, 1986), by Ernst Lurker. Tom has been a writing instructor since 1984 on university to local levels and for many years through the Long Ridge Writers Group correspondence course; he still nurtures hope that, one day, he can convey the correct usage of the semi-colon. It was great seeing you and Lynn and Michael and his family on the 4th – another great Bedell celebration and no one lost a digit! I am passing your information on to a young friend of mine who is a true golf enthusiast and up and coming writer, Jack McAuliffe. He HAD a website “thegolfdog.com” which has totally crashed but if you would be kind enough to peruse his articles – they are available on twitter at thegolfdog22 and Jack also wrote for golf wrx. Golf and writing are his passions and if you have any advice for this 26 year old – please lay it on. Tom; you are a hoot! It was great to see you; and your family. Almost lost yours and Harriet’s comments in a spam filter! Jack McAuliffe–strange, same name as one of the original microbrewers back in the early days. I’ll see if I can track his stuff down, and thanks! Tommy I have finally found you after 42 years…..I was thinking of you and your family and decided to see if I could find you…..looked up Tommy Bedell writer…..and found this site and I sent you a request to be your friend on Facebook. I often wonder what happened to penny and Kippy and their families. Your email on new ways to get around the course hit home. I can still walk with a push cart, but a motor would be helpful. Today I am wearing my old Crystal Downs shirt which I bought when playing there with you in 1999, or so. I played golf last month here in Tucson with our old buddy, John Kellogg. Hey, Henry, great to hear from you! In AZ full-time now, or still shuttling back and forth to Michigan? In a few weeks I will be publishing a golf book titled “Ray Billows – The Cinderella Kid,” with a subtitle “The unlikely and colorful story of a world-class amateur golfer.” It is a biography. I would like to send you a copy when its available and invite your comments and mention on your website. How do I do that?